As Hitler masses his troops on the border with Czechoslovakia, threatening an invasion that will draw Britain and France into a general European conflagration, Chamberlain, the British Prime Minister contemplates how to avoid war. Surely the sacrifice of a small nation to a tyranny is a reasonable price to pay? As the leaders of Germany and Britain circle each other two relatively low level civil servants on either side, Hugh Legat and Paul Hartmann, one-time friends at Oxford, begin to renew contact in a bid to avert what is coming. Harris’ latest thriller is based around the infamous 1938 international conference in Munich. But its most powerful theme for me was the empathetic exploration of the nascent German Resistance. Hartmann, a character who bears a striking resemblance, physically and biographically, to the real Resistance leader Adam von Trott, seems a little mad to his old friend Legat. But Hartmann has seen the true face of Nazism and understands the “power of unreason” that has gripped Germany. So he does not share the British delusions that Hitler is just another politician who reasonable men can do reasonable business with. Harris has written “counter factual” thrillers, such as “Fatherland” set in a 1960s Germany in which Hitler has won the war, as well as ones more scrupulously rooted in fact, such as the superb “An Officer and a Spy” about the Dreyfus Affair. Consequently one isn’t too sure exactly how this particular story is going to turn out. The result is a fine and tense exploration of this historical moment, and how even the best of motives can result in the most catastrophic of consequences. The pope is dead. It falls to Cardinal Lomeli, Dean of the College of Cardinals, to oversee the Conclave to elect the new pope. The one hundred and eighteen men who gather to elect a new pope are a diverse mix: conservatives and liberals from every corner of the world, some desperate for the prize, some dreading the prospect. I started reading this book the day after Donald Trump was elected, on a minority of the votes as it transpired, as President of the United States. I was desperate for a story to transport me from the bleak reality. It can be a bit hit and miss on the cheeriness front with Harris – things turned out okay for Dreyfus in An Officer and a Spy, Cicero not so much. 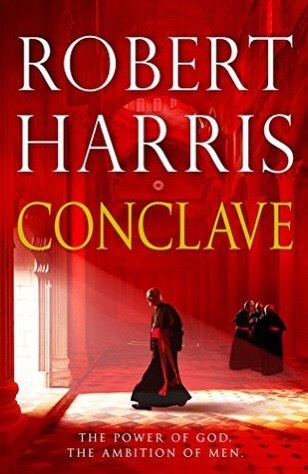 But Harris always puts together a good political thriller, and this is no exception with the growing tension as the voting in the Sistine chapel proceeds. At the heart of the story is Lomeli, a man of faith and doubt, trying his best to behave honourably in the face of the dark secrets and challenges that emerge. I don’t know what Harris’ own religious views are but he provides a deeply sympathetic and empathetic account of the beliefs and thinking of the high cleric and committed Catholic at the heart of the story. As a remarkable coincidence after I finished this book early one morning I switched on the television to see a 2011 interview with Robert Harris talking about Graham Greene’s novel, The End of the Affair. In the interview Harris concluded that there has never been anyone who can quite fill the gap left by Greene, a writer of gripping thrillers which wrestled with serious moral concerns and complex philosophical issues. I’m not so sure that since he gave that interview in 2011, Harris himself hasn’t made a creditable claim on Greene’s mantle. 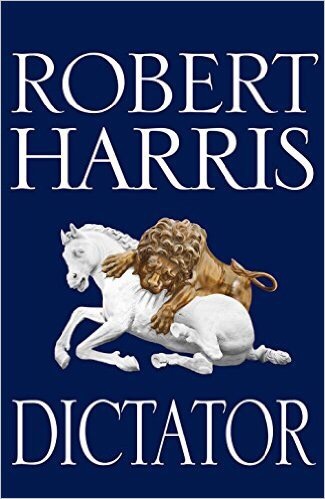 Dictator is the final volume in Robert Harris’ fictionalised three-volume biography of Cicero, covering the years up to his death and with it that of the Roman Republic. Cicero did have a biography written by his secretary Tiro, the inventor of one of the first systems of short-hand which still echoes into contemporary English, for example, e.g. Fortunately for Harris, that biography has been lost to history, so he has constructed his own trilogy as if it were Tiro’s biography of Cicero, with Tiro as narrator. As with the previous two volumes of the trilogy, Imperium and Lustrum dealing with earlier phases in Cicero’s career, Dictator is a gripping political thriller, covering the period from Cicero’s exile to the downfall of the Republic with the establishment of the second triumvirate of Antony, Lepidus and Octavian. 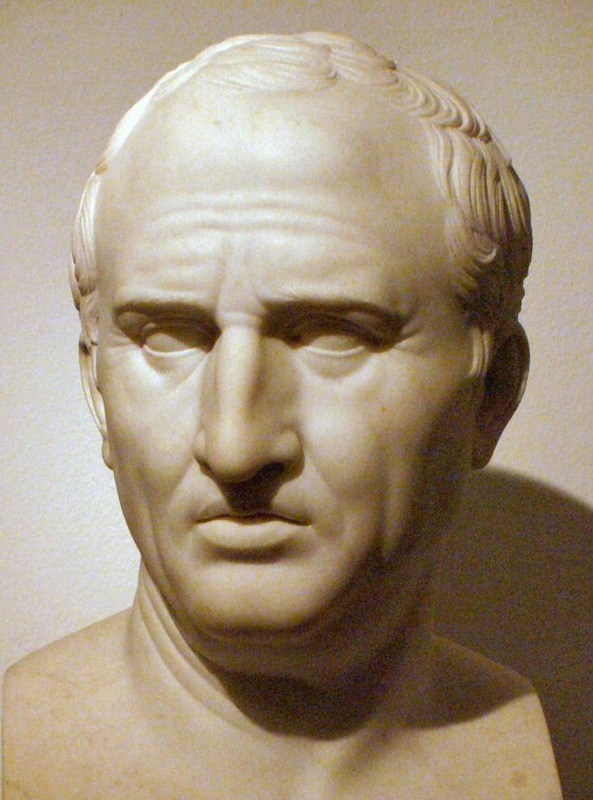 Contrary to Goldsworthy’s Caesar, or Massie’s fictionalised accounts of the period, with Harris Cicero is presented as a hero, albeit a flawed one, a proponent of rule of law against arbitrary and tyrannical rule in spite of personal threats and the moral cowardice of his contemporaries. Unlike Goldsworthy who typically tries to explain his subjects in the contexts of their own time, Harris deliberately seeks parallels with the present. Here he presents a warning for a polity that disdains basic principles of rule of law. But, Harris does not allow the vital political-philosophical points to interrupt the narrative, which is gripping, as Cicero with only logic and argument in the face of shocking violence seeks to maintain constitutional principles in the face of the vanity of warlords. The result is a fine political thriller, with much to recommend it for the student of the ancient world.